Research shows us that the majority of youth consider socially unacceptable behaviour, including drug-addiction, to be the gravest problem of their generation. Another problem, which is crucial to violence in schools, is the trans-generational transmission of psychological trauma and negative narratives by parents, teachers, and the society in general. This problem is highlighted extensively in Dutch, US, and Israeli literature. In our practice, we have seen this extensively in eastern Croatia. Our approach is to educate a number of peer counsellors who then will volunteer their time to assist other young people in providing psycho-social support and empowerment of youth in the fight against violence and abuse, aiming at their personal growth and the development of positive social skills. This provides psychosocial services to youth and also encourages active youth participation in the society, as well as promoting voluntary work as a concrete response to the phenomenon of increasing violence among children and youth. Adults cannot always help in ways appropriate to young people. Sometimes they don’t know or understand what young people are going through. Sometimes they don’t want to know. Youth sometimes feel very much misunderstood by adults. Young people frequently share information among themselves. Young people naturally turn to one another. Many young people are ready to change, learn, and to research new methods of assisting one another. Thus, we feel that the methodology described above is more effective in many instances than programs provided simply by adults. Furthermore, this methodology gives young people a sense of responsibility for one another and increases a spirit of community, and ownership. Further, this methodology increases the sustainability of the action in giving young people knowledge, skills, and attitudes that they can transmit to others. In general, training lasts for about a year for two hours per week. Youth peer counsellors are supervised by school personnel and/or by external professionals. Self-help groups are an efficient and inexpensive way of dealing with large numbers of people. They are composed of peers who share a similar mental, emotional, or physical problem. Usually, groups are led by peers and have an informal structure. Self-help groups share the standard advantages of group therapy. Clients do not feel as isolated as they ordinarily would because they see that their problems are not unique and feel understood. 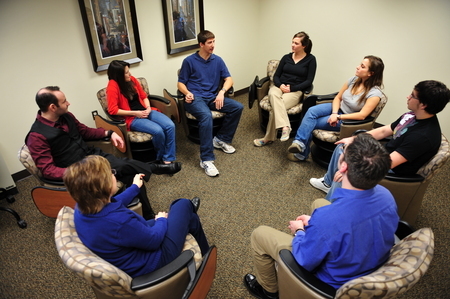 These groups frequently do not carry the stigma of group therapy and/or of going to a psychiatrist or psychologist. 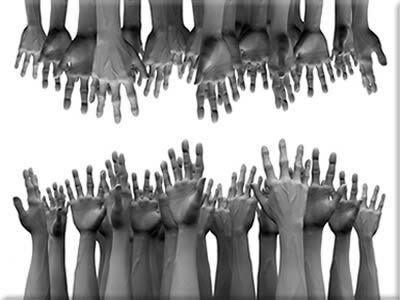 The people can share experiences with one another that may lead to mutual assistance. Also, very frequently, the people in the groups know more about their specific area than do professionals. If non-professional leaders are used, there is a greater coverage of the affected population and thus greater dissemination into the community and greater access for people. The costs per person are lower, especially as many leaders are volunteers. These groups are not for every person. Some people still will require (a combination of) individual treatment and/or more specialized treatment. Thus, group leaders must know their limits and know when to refer the person to someone at a higher level. However, it is essential, however, that there be good training and supervision. The CWWPP has more then 20 years of experience in education for leaders of self help groups. For more information, see the section of this website dealing with Pragmatic Empowerment Training (PET).